Besides my Gallery and Photoblog, I have uploaded quite a few pictures to Panoramio. You can find my page here. 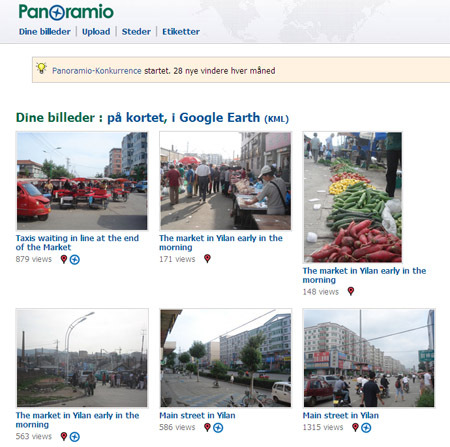 Panoramio is comparable to Flickr, but excel in letting you integrate it with Google Maps/Google Earth so you can pinpoint exactly where you took the picture. Check it out, it’s a cool toy.